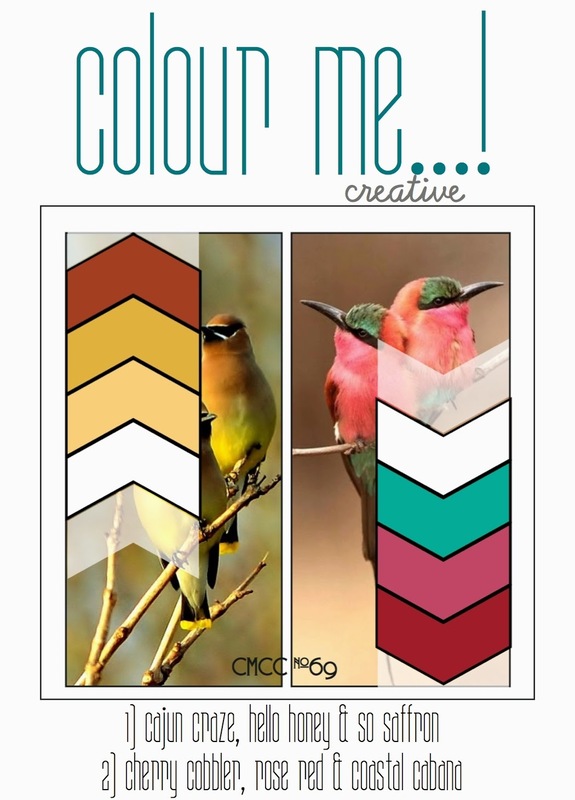 KB Stamps: Colour Me #69 & HAPPY BIRTHDAY! Super cute Katie! I love the strips on the circle! Oh !!!!!!!!! I have the best crafty friends EVER!!! And you are one of the very sweetest!!!!!!! Hugs Katie!!! Super cute!! 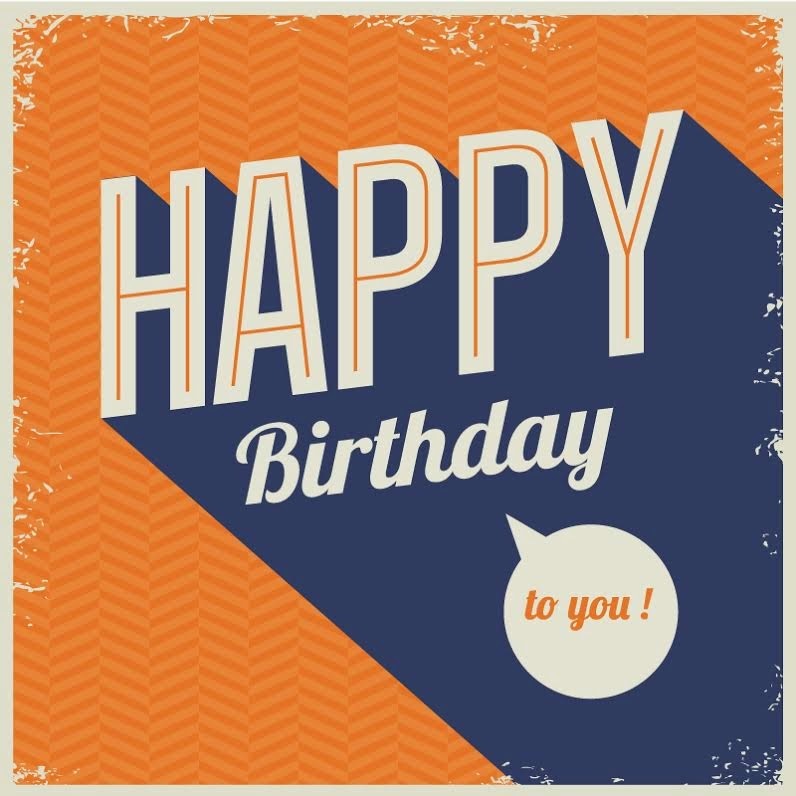 Happy Birthday, Kimberly!!! Good color choice, although both schemes are gorgeous! What an adorable card you've made! Those stamps are super cute, I'll have to check that company out! Adorable card with a fantastic message!! What a fun card Katie! Love the cute dragon! GREAT card for Kimberly! Super cute dragon! Well, this is about the cutest little dragon I've ever seen! I love his coloring...great job! The polka dot background makes your card fun too! And you nice ladies are certain to help make her day legendary! That little dragon is adorable, what a fun card!! Terrific bday card too!! What a fabulous card! Too cute - love the dragon! Love the card Katie - cute little dragon! Yay! What a FUN card, love the colors and that dragon is so cute! Perfect sentiment! Love the cork hearts too!! How cute is your dragon! Those warm colors make an inviting card that Kimberly will love! Darling dragon, fabulous friend! Yay! the little dragon is so cute - though he might not want to be. thanks for helping Kimberly celebrate her birthday. Great little dragon card! I like that color palette too! Such an adorable Dragon!!! Kimberly will love! Sorry we missed you at Amy's! Hope things worked out okay!?! LOVE this, Katie! Your dragon is magically delicious! Your sweet card made my son all kinds of happy! He is a HUGE fan of dragons :) Awesome job! 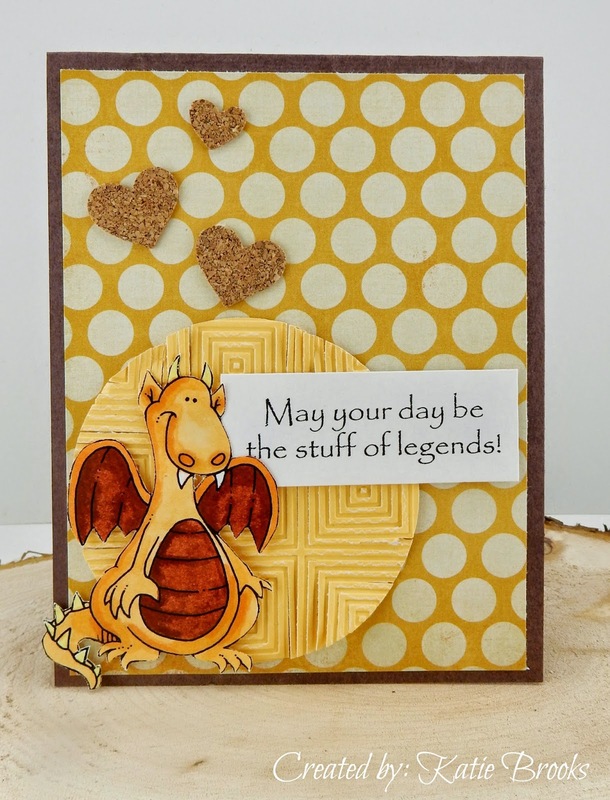 Fabulous card for our sweet Kimberly...that dragon is just way toooo cute! Such a sweet monochromatic card. Love those hearts! !